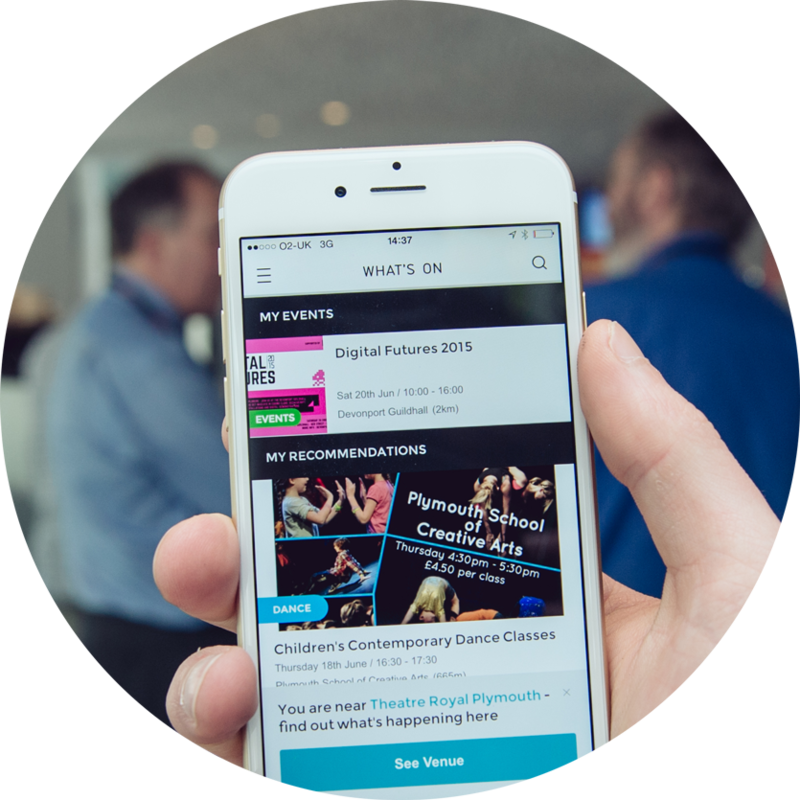 After three years and a successful pilot, Artory, Plymouth’s incentivised ‘What’s On’ Mobile App for cultural events is going offline. Artory was launched in January 2015 as a pilot scheme to enable users to leave feedback and cultural organisations to understand their audiences better. It provided users with an opportunity to evaluate events and shows, whilst receiving cultural event info directly to their phones. This city-wide collaborative pilot was produced by i-DAT and Plymouth Arts Centre with the Plymouth Culture Guide Group: Theatre Royal Plymouth, Barbican Theatre, Plymouth City Museum and Gallery, The Gallery at Plymouth College of Art, Peninsula Arts Plymouth University, KARST, Ocean Studios, Take a Part, Plymouth Dance and Plymouth Culture. The App was designed and developed by Elixel with i-DAT. The branding was designed by Intercity. · Had 6201 downloads across IOS and android devices. We will continue to explore any potential routes to fund a new web and mobile enabled Artory. In the meantime, we will cease working on the app from October 31st 2017. The app will be removed from the App store and only accessible to those who have downloaded it, (although it will also no longer be supported). We would therefore suggest you remove the app from your phone after this time. You can contact Dawn Melville (dawn.melville@plymouth.ac.uk) for further info. Artory — the What’s On App for culture in Plymouth that earns you Art Miles® to exchange for exclusive offers at venues across Plymouth. • Set your preferences and get your personal guide to culture in the city. • Have your say by leaving feedback on events. Art Miles® is a points-based scheme, where you accumulate points through updating your profile, checking-in at participating venues and reviewing events.